President Trump is attempting to keep his summit with North Korea alive, and he’s doing so by promising “protections” to Kim Jong Un and his regime. Following the country’s threat to pull out of the June 12 summit, Trump raced to reassure its dictator that the United States has his best interests at heart. During a meeting with White House reporters, Trump said he was “willing to do a lot” to provide Jong Un with “protections” if North Korea promises to hand over all of its nuclear weapons. Diplomacy between the two countries started to crumble this week when the United States and South Korea conducted previously scheduled military exercises. Despite threats from Kim Jong Un, President Trump says his administration is moving forward “as if nothing happened.” The POTUS says his office has received no official word about the meeting from North Korean officials. “Our people are literally dealing with them right now in terms of making arrangements, so that’s a lot different than what you read, but oftentimes what you read, if it’s not fake news, is true,” he said. Officials in North Korea have scoffed at the idea of “unilateral” denuclearization. 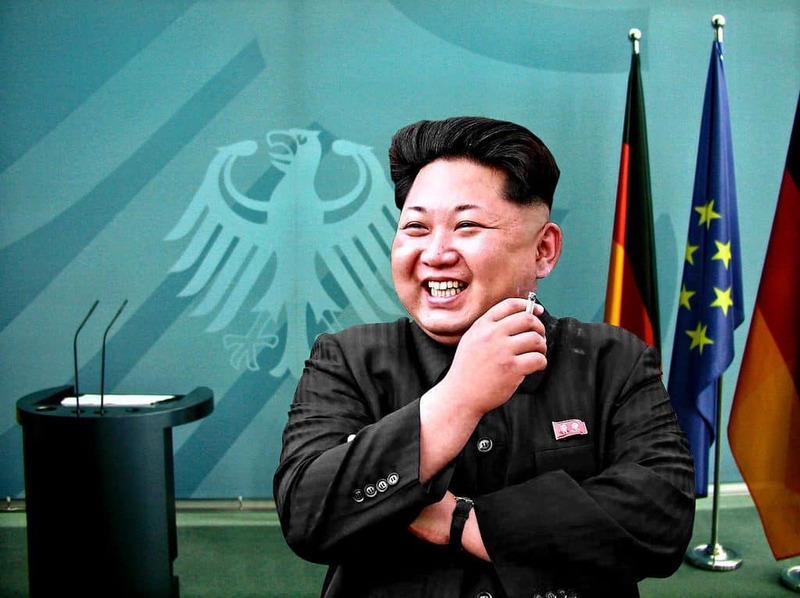 It’s widely believed that Kim Jong Un is able to hold onto power because of his growing weapons arsenal. When national security adviser John Bolton said the United States would seek a “Libya model” with North Korea, leaders in the country allegedly didn’t appreciate the maneuver. It probably doesn’t help that Libyan leader Moammar Gaddafi was forced from power in 2011 by NATO forces after handing over his arsenal to the United States just eight years earlier. There has yet to be any official response from North Korea.